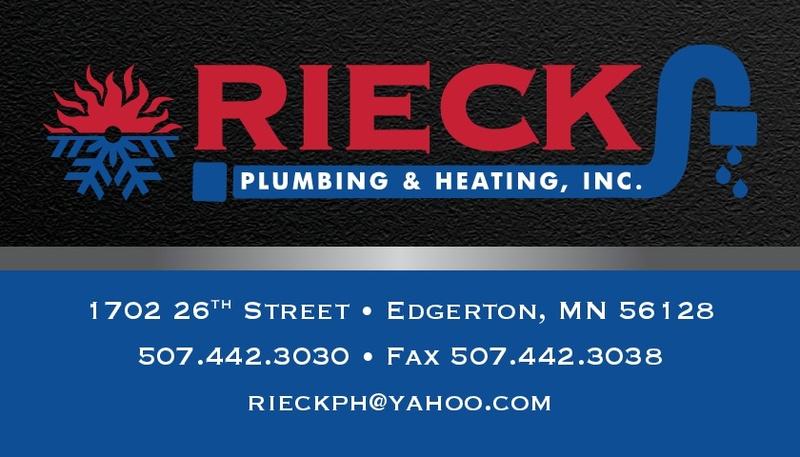 Edgerton, MN Ac Installation Companies | Ac Installation Companies Edgerton, MN | Rieck Plumbing & Heating, Inc. If you’ve been without AC in the summer for any amount of time, the last thing you want to do is wait. When you turn to our team, you can expect quick services that prevent you from suffering in the heat a moment longer than necessary. Let us provide you with superior services Monday through Friday 8:00 am to 5:00 pm. We are proud to serve Edgerton, MN, and the surrounding area. Call us today to find out more about our team.